Was just going through the old Fennec Yahoo groups photos and found this. Forgot all about that. I remembered someone asking if buying a cat wheel was a good idea and I kind of dismissed the idea at the time but didn't remember anyone actually made one. This excites me, lol. IT will work. Also assuming the bar spacing is 1 inch then that wheel is about the same size as mine. Be used to keep nails flat? Hmm self adhesive sandpaper but I'm not sure how agreeable that would be to nonfurred feet. There is some real fine grit ones though so maybe. That's so great! Your little girl has no excuse not to use it now! Hope so. Starting young it shouldn't be too hard to teach, especially since they like running. I get the basics though wheels like skate or roller blade on a rod with tubes around them and cut running tracks in the acrylic tube. I guess you'd heat an acrylic sheet to be able to bend it into a tube or maybe find a giant PVC tube instead. 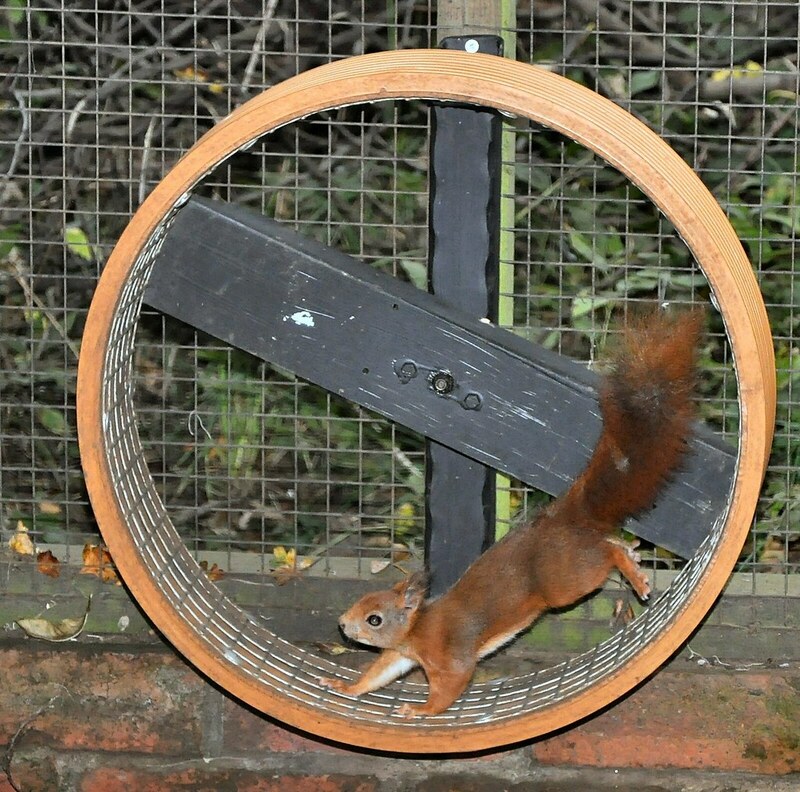 Do you think a squirrel could learn to use an exercise wheel? I don't see any reason why not. Yeah squirrels are super smart. Cool though he had special equipment to curve it. You might be able to find someone to do that for you though if you looked for a machine shop or something. That automotive felt looks nice.